Synopsis: Rosemary Buck was last seen on August 11, 1973 wearing a white pullover top and blue jeans. She was twenty years old at the time. She may have also been observed several days later entering a vehicle in the area of Wolf & Sixth North Streets. Around the time she spoke of her intention to possibly travel to the city of Boston. 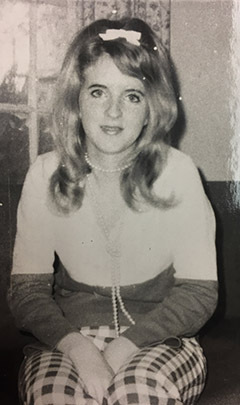 Anyone with information regarding this investigation is urged to contact the Syracuse Police Department Cold Case Homicide Squad at (315) 442-5234 or by e-mail at coldcasesquad@syracusepolice.org. All tips will be kept confidential.